Kerala boasts of being home to lovely beaches, mesmerizing backwaters, beautiful hill stations and more. That is not all. This south Indian state is also home to a vast variety of animals and birds, which makes it an ideal destination for wildlife and photography enthusiasts. Thekkady is one of the most popular destinations of Kerala which offers excellent opportunities to adventure and animal lovers. Heavenly Kerala Winter Special Tour by Kerala Backwater is a well-planned itinerary of 4 nights and 5 days that lets you experience the best sights and sounds of this place. Some of the highlights of the package include boat ride and adventure activities in Periyar and a visit to the spice plantations. Arrive at Cochin Airport/Railway Station, where our tour representative meets you and helps you with an assisted transfer to the hotel. Complete the check-in formalities at the hotel. You are now free to explore the place as per your preference. Also known as Kochi or Ernakulam, Cochin is an important port city of Kerala, which is also dotted with a number of tourist attractions including beaches, historical sites, sacred sited and more. Offering stunning scenic views, the city is also known as the Gateway to Kerala. Overnight stay in Cochin. Post breakfast on the second day, begin driving to Thekkady. Afternoon arrival and completion of check-in formalities at hotel. Spend the rest of the day at leisure. Home to the very well-known Periyar National Park, Thekkady is a dream destination for wildlife enthusiasts. Apart from the wildlife sanctuary, Thekkady also has temples, lake and other attractions. Visit the place on your own. Overnight stay. On the 3rd day of the tour, have your breakfast and later get ready to the most popular tourist attraction of Thekkady, Periyar National Park, which is famed as tiger as well as elephant reserve. Along with wildlife viewing, you can partake in a number of adventure activities inside the park such as bamboo rafting, rock climbing, trekking, border hiking etc. You can also opt for embarking on a nature walk. The wildlife reserve is placed in the high ranges of the Western Ghats and thus offers excellent opportunities for different adventure activities. Stay overnight. 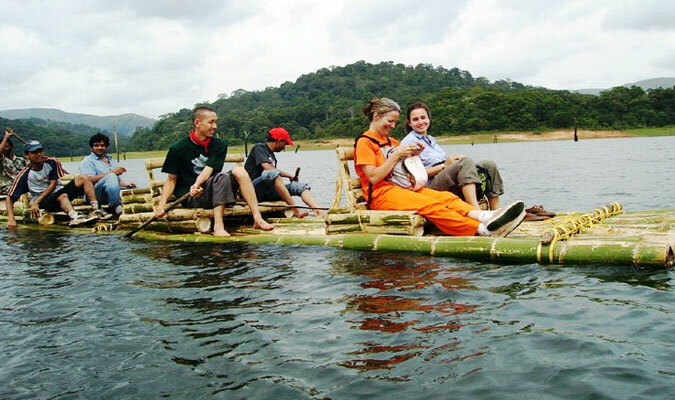 Today, after having your breakfast, you are taken for a boat cruising inside Periyar. The best way to have a rendezvous with the wildlife of this wildlife reserve is to opt for a boat ride. Spot animals quenching their thirst on the lakeside. Thereafter, visit the spice plantations and treat your eyes to the lush greenery spread all around. Soak-in the fresh aroma of the spices while taking a walk here. Overnight stay in Thekkady. On day 5, after breakfast, complete the check-out formalities at your Thekkady hotel. Get on-time assisted transfer to Cochin airport/railway station for your onward journey.